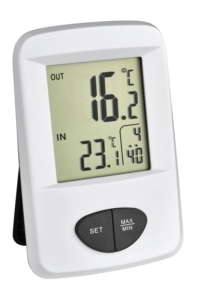 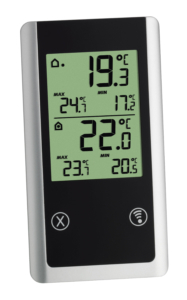 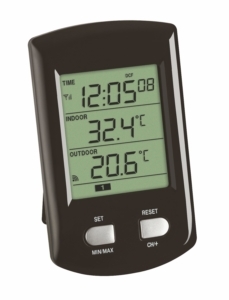 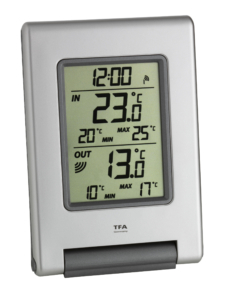 Always in the know with the temperature – with the "BASIC" wireless thermometer from TFA. 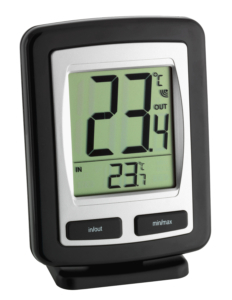 In addition, the device has a maximum and minimum value function. 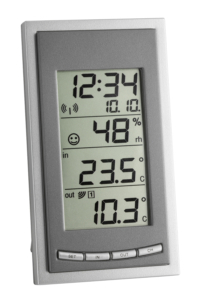 The current time is received via the DCF 77 radio signal. 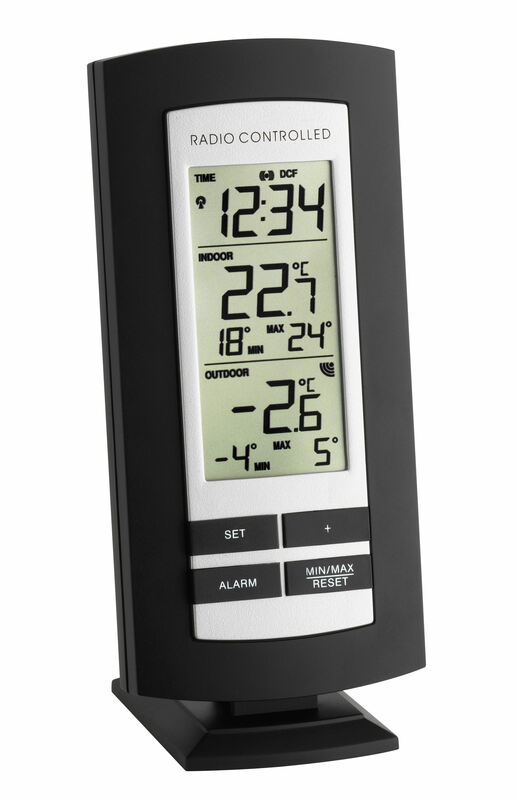 A wake-up alarm will always gets you out of bed at the right time.